How to password protect USB drive in 5 steps? Home How To How to password protect USB drive in 5 steps? Since the last decade, technology goes so far and from this, we have USB drives, small in size but stores so much data according to their size. External Drive or Removable Devices such as USB, flash drives, memory sticks, thumb drives, pen drives are portable. These devices with large memory space and minuscule in size which makes them extremely convenient, easy to keep and carry with you wherever you go. But due to this small size and affordability, they easily go lost. But losing a USB drive or any portable device is not a big loss, but losing any important data, confidential data or files and folders can be disastrous may lead to a great loss. There comes the question How to password protect USB drive? But how you password protect your USB drive? If you don’t know how to do this, don’t worry. There are so many methods by which you can password protect USB drive or any kind of flash drive. Encrypting your USB drive with a password is the best way to go when you need a protection. WARNING: We are not responsible for any of your data lost and corrupted files. We highly suggest you back up your files before continuing. USE WITH CAUTION. Method 1. Encrypting your USB drive with a password is the best way to go when you need a protection that is extremely hard to break. First, we go to this method. First, plug in you drive and go to your flash drive folder. Then create a folder. Let’s name this folder “Lock.” Now move all your files that you want to protect into “Lock” folder. Make sure “Lock” folder is still on the flash drive. First open CMD from your start option of windows type in “g:” then hit enter and type “attrib Lock +s +h” (if you have a different folder name instead of “Lock” use the name of your folder) this should now make you folder “disappear” The folder is now invisible. Although still accessible, it cannot be seen unless the specific folder path is seen. Change the Password to your desired password what you want to put on your file to protect it. Next, change the “Lock” to your folder name where you put all your files, in my case it is Lock. save this script as a .bat file in the USB drive and don’t save this anywhere else. Now, whenever you attempt to access the folder on the drive, you’ll have to go through a secure password first. Step 5: Turning the .bat into a .exe file. The thing about having a .bat file is that you can easily edit the coding, making it accessible to anyone. really Making this entire project more of a novelty than anything else. If you don’t want to protect the whole USB and just want to protect only some of the folders and just want to make sure no average person can access your data. You can just password-protect the data using the built-in feature (if present), or a third-party tool. You can also use third-party tools to password protect Folders and files in Windows. For this purpose, Folder Lock does a great job. It comes as a portable version (can be run on any computer, without installing) that you can carry around in your USB drive, and it will let you encrypt and password-protect specific files and folders. If you want to use Folder Lock for password protecting your USB data, then this handy guide may help. Method 3. 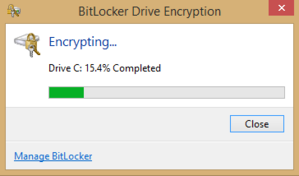 Use of BitLocker, it is an inbuilt program by which you can put a password. Open explorer and right click on your removable drive to open the context menu, then click on Turn on BitLocker. Then check the box of “Use a password to unlock the Drive”, set a strong password (with numbers, characters in both capitals, special characters and of 15-20 characters minimum – more advice from Google). 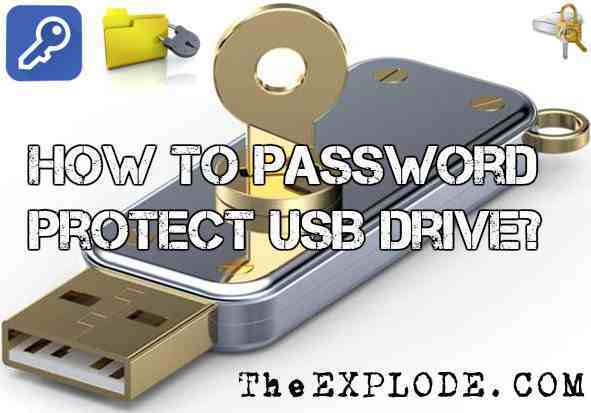 This is a simple process that can also help you to password protect USB drive. There are also so many programs that can password protect USB drive, you can try them too, but before trying any of the program first Backup your data. You can also inform us which program you use to password protect USB drive or any other flash drive. Next article6 Hacker App you should use in your Android device for hacking.